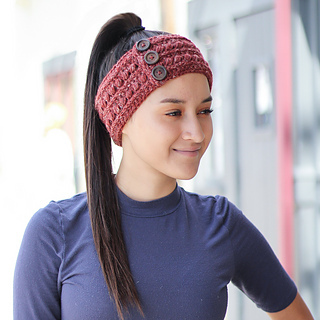 When you want to wear your hair up, but you still want to keep your ears warm, it’s time to grab an earwarmer! 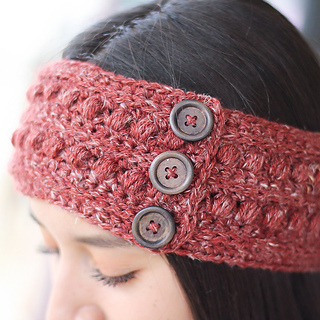 This quick pattern is one of the simplest of the Malia collection and you’ll be able to crochet it up in no time. If you need a little help with the stitches, check out the tutorial video I made for the cowl and scarf; just use the numbers in this pattern instead of the ones called for on the video!